Congratulations to chrissym79! 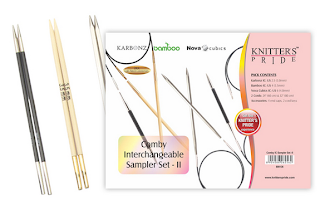 Her comment was randomly selected to win this month's giveaway for our new Comby II Sampler Set which contains interchangeable needle pairs from our Karbonz, Bamboo and Nova Cubics lines! We've contacted chrissym79 to arrange for the delivery of their prize. Thanks to everyone who entered this month's giveaway! 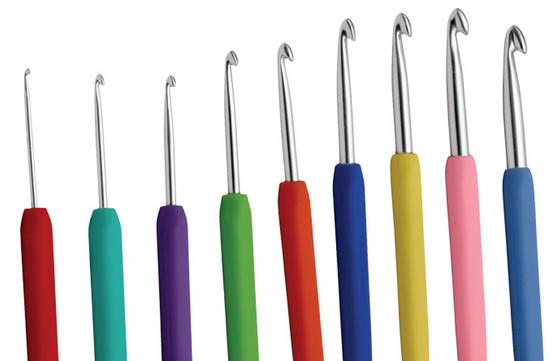 Make waves with our brand-new line of glamourous crochet hooks this fall! 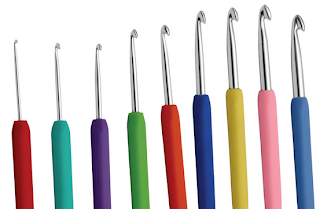 Our new Waves crochet hooks feature our signature smooth finish aluminum hooks and colorful soft-feel handles. 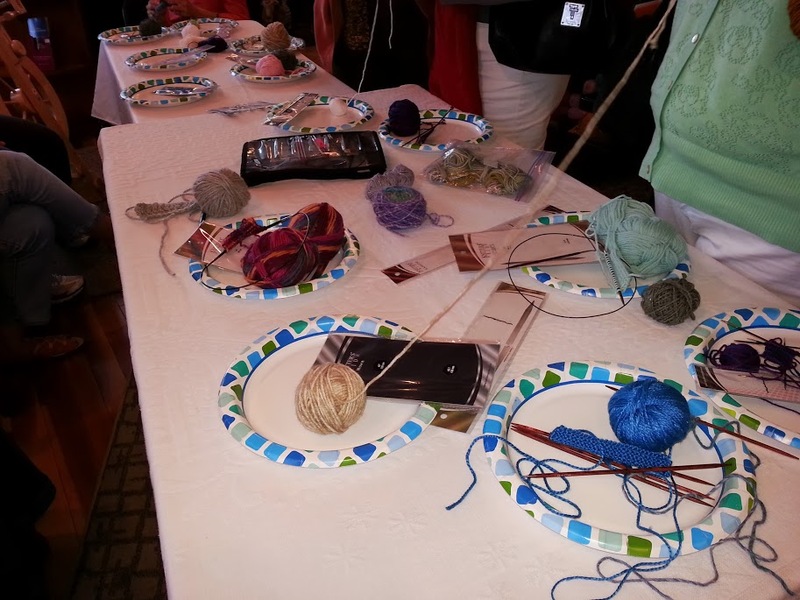 Waves come in 13 vibrant and trendy color options, each of which are unique to its size. 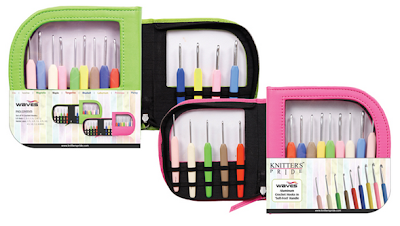 Knitter's Pride Waves crochet hooks are also available in sets! Packaged in a handy faux leather zippered case, each set contains 9 hook sizes ranging from US sizes C-J. 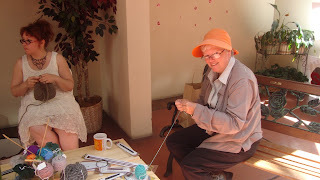 Choose from fluorescent green or fluorescent pink to build your crochet hook library. 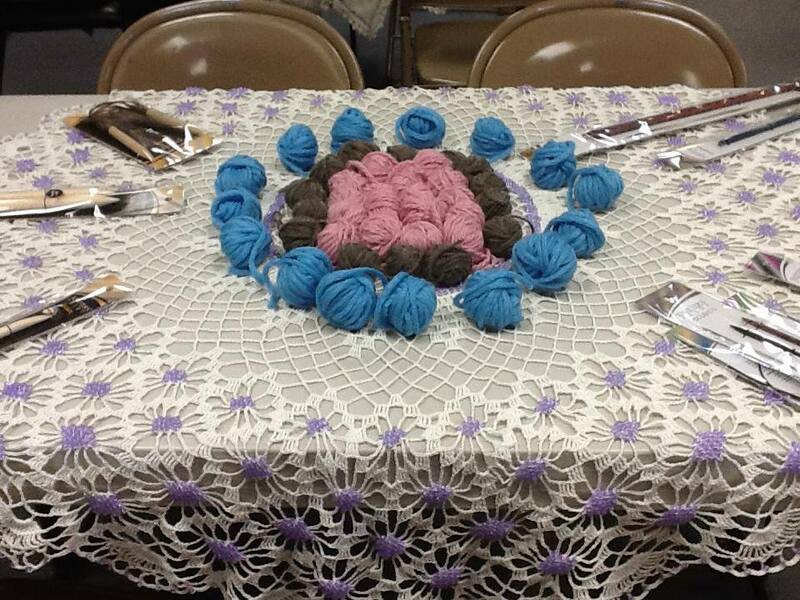 Click here for your chance to win one of these sets in our Ravelry group this month! All summer long, yarn shops throughout North America have been hosting Knitter's Pride Needle Tasting parties, giving their customers the chance to try the full range of Knitter's Pride products before they buy them. It's been great fun seeing photos from these events, so we thought we'd share some of them here with you! You can view more event photos here on our Facebook fan page! 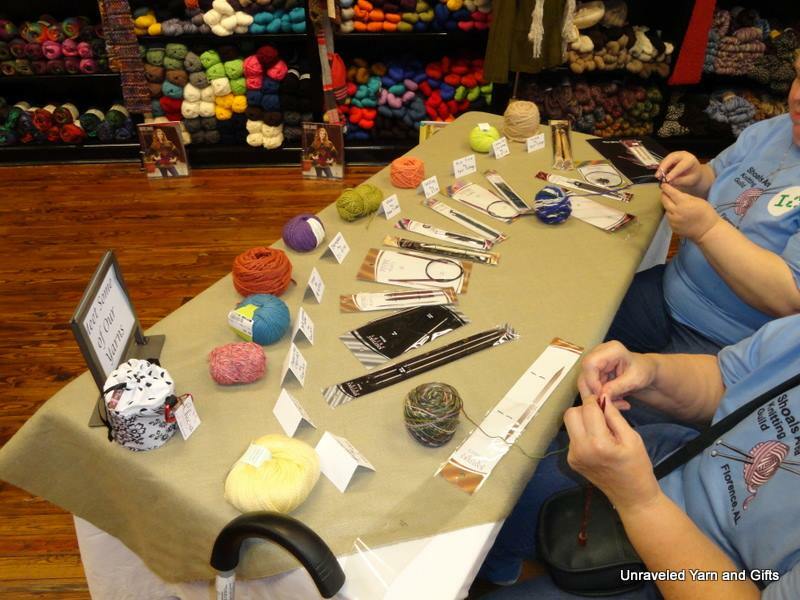 There are still plenty of events happening this month - click here to see the calendar of events in our Ravelry group. 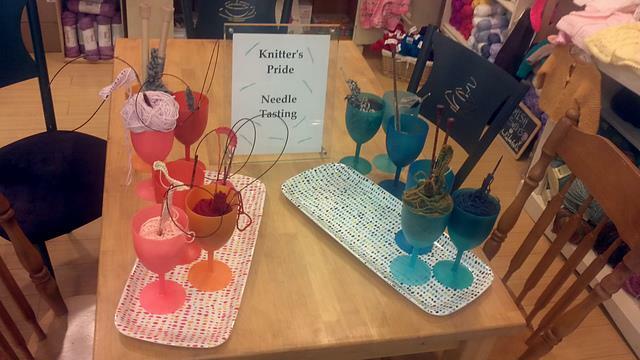 For those of you who didn't get a chance to host or attend a Knitter's Pride Needle Tasting, we will be announcing details of the next round of events at a later date. Stay tuned! 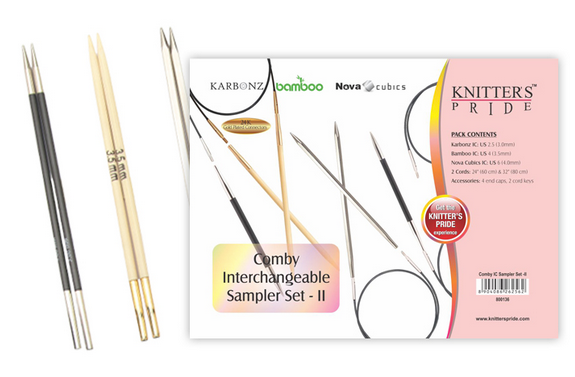 We're giving one lucky blog reader the chance to win a brand-new Comby II sampler set, which contains needle tips from our Karbonz, Nova Cubics and Japanese Bamboo needles! 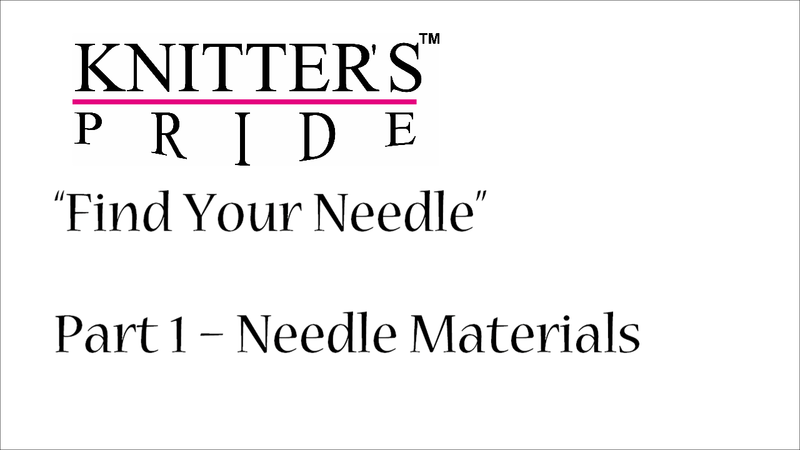 Simply leave a comment on this blog post telling us which of these needles you are most excited to try out (don't forget to mention your Ravelry ID or email address so that we can contact you if you win). We'll randomly select one winner to announce in our next blog post. Good luck!